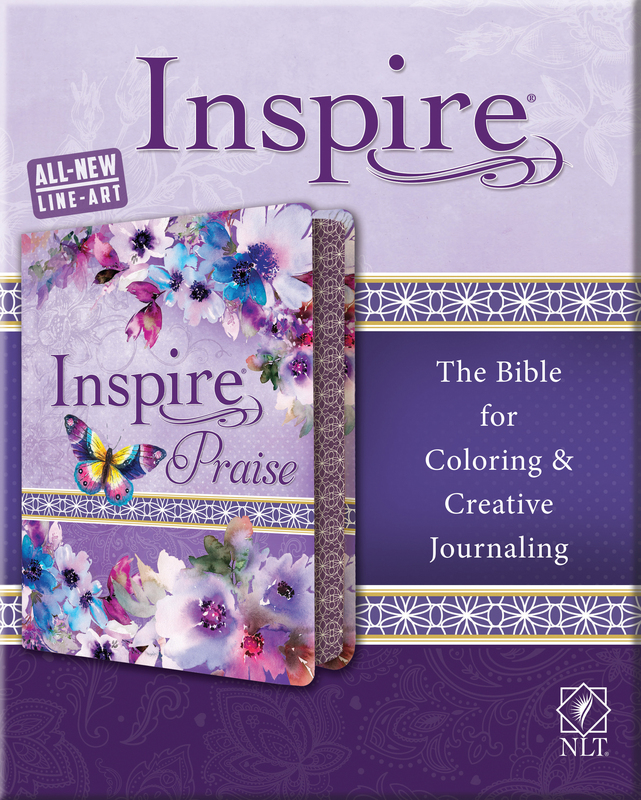 The interactive nature of the Inspire Bible’s line-art illustrations for coloring bridges the gap between wide-margin Bibles without art pieces and full-color illustrated Bibles, allowing readers to connect to Scripture through creative expression. Through art-journaling and coloring, people experience God’s Word in a life-giving, hope-filled, healing, and interactive way. 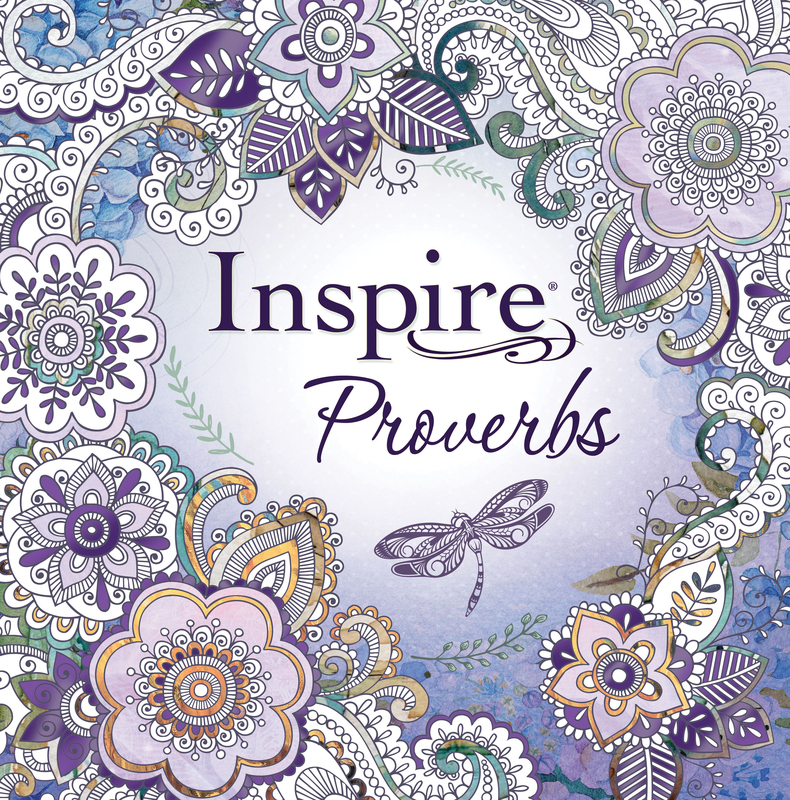 Inspire is a single-column, wide-margin New Living Translation Bible, with over 400 beautiful line-art illustrations for coloring spread throughout the Bible. Full-page and partial-page Scripture art illustrations can be colored in to make each Bible unique, colorful, and personalized. Every page of Scripture has two-inch-wide margins, with either Scripture line-art or lightly ruled space for writing notes and reflections or to draw and create. The generous 8.65-point font ensures optimal readability, and quality cream Bible paper is great for creative art journaling. 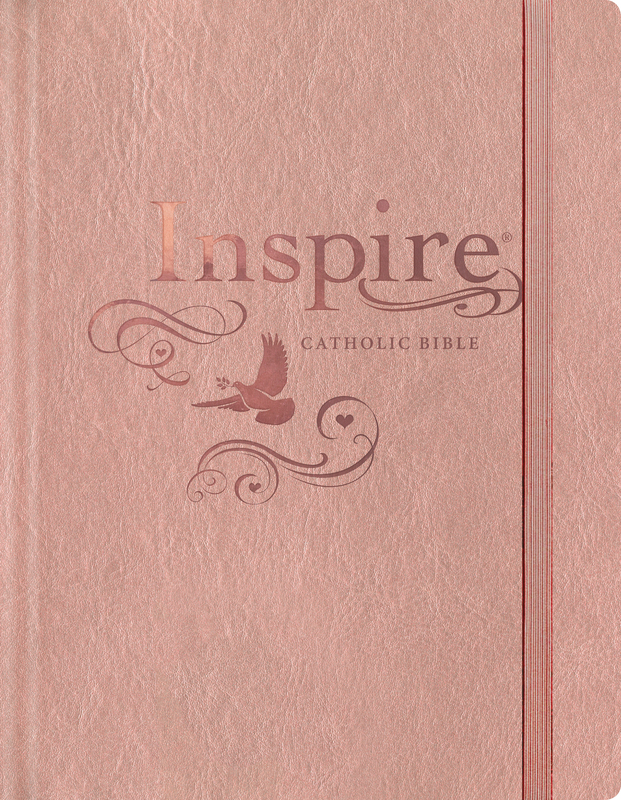 The Inspire Bible is a powerful tool allowing readers to interact uniquely with God’s Word while creating a beautiful legacy for generations to come! 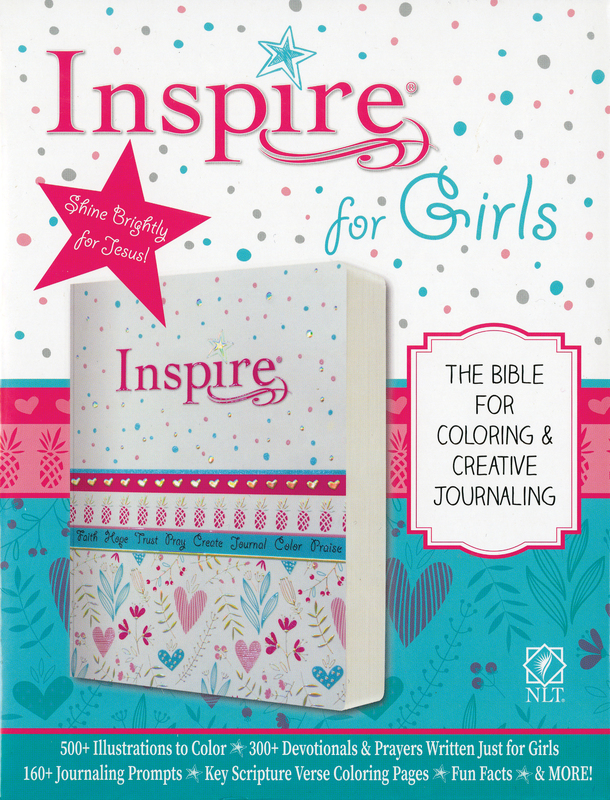 BE INSPIRED WITH INSPIRE CREATIVE BIBLE JOURNALING NEW PRODUCT INFORMATION, RESOURCES & MORE! I’d love to receive all Tyndale communications about books, Bibles, and other resources!